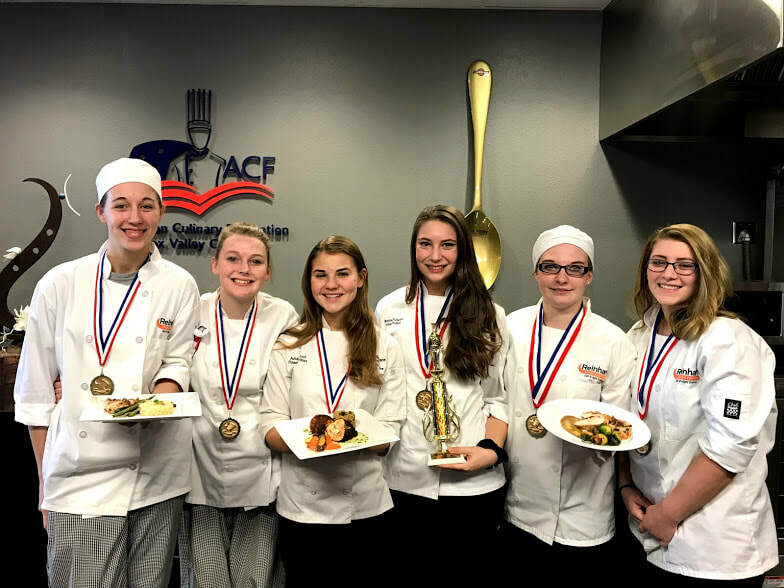 In this class, students have the opportunity to explore the exciting and developing professions in the culinary industry using the National Restaurant Association’s ProStart curriculum. ProStart students have opportunities to work with mentoring chefs from the local area and currently, we have been fortunate to work with the chefs at Lambeau Field (Delaware North Sportservice) in Green Bay, WI in preparation for ProStart competitions. Information on student scholarships from the National Restaurant Association Educational Foundation can now be found here.